At Lousje & Bean we take great pride in our ability to bring our customers the highest quality pieces that are stitched together right here in Canada. We strongly believe in the use of locally-sourced products and work hard to ensure that as many elements as possible are Canadian-made! 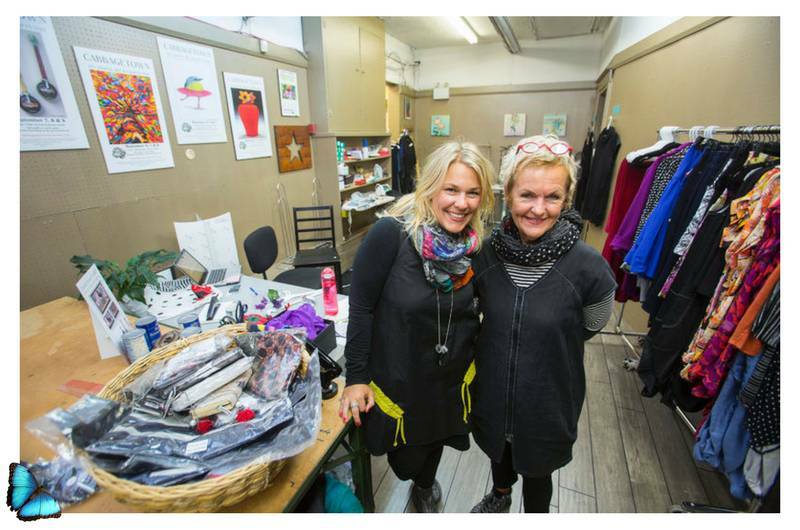 From the mutual respect of our mother and daughter founders to the Canadian-made components used in every item sold in the boutique, Lousje & Bean products are made from top to toe with love. We’re proud to have used many amazing Canadian designs and materials in our pieces over the past twelve years, from the zippers all the way up to the labels. Though Lousje herself was born in the Netherlands, Canadian pride is definitely at the heart of each item we make. We hope that commitment to quality and locally-sourced products is obvious to anyone who comes to visit! But if you’re curious, here are a few of the Canadian-made elements you’ll see in our clothes. Before a garment is even produced, all our samples and patterns are produced right here in our studio in St. Catharines, Ontario. If you were to walk into our studio, you’d see our enormous design table, our fabrics, and our sewing machines right there next to our shop front. From our studio straight to the sales floor, our patterns are as local as they come! 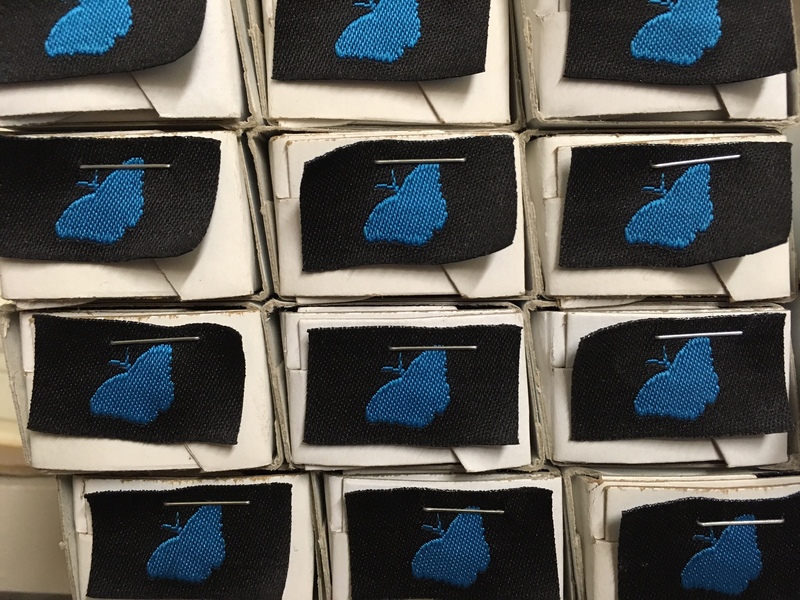 From there, we work with a company in Toronto to assist us with the cutting and sewing. If we could keep up with the demand with just our team, believe us, we would! But we’re proud to have the assistance of our Toronto-based sewing teams to help us turn our patterns and designs into reality. Additionally, we get all our fabrics from representatives in Toronto, Montreal, and Vancouver. We love working with other Canadians to source our materials, and our associates really know their stuff. Especially when it comes to cold weather garments, we find that working locally gives us the best results. 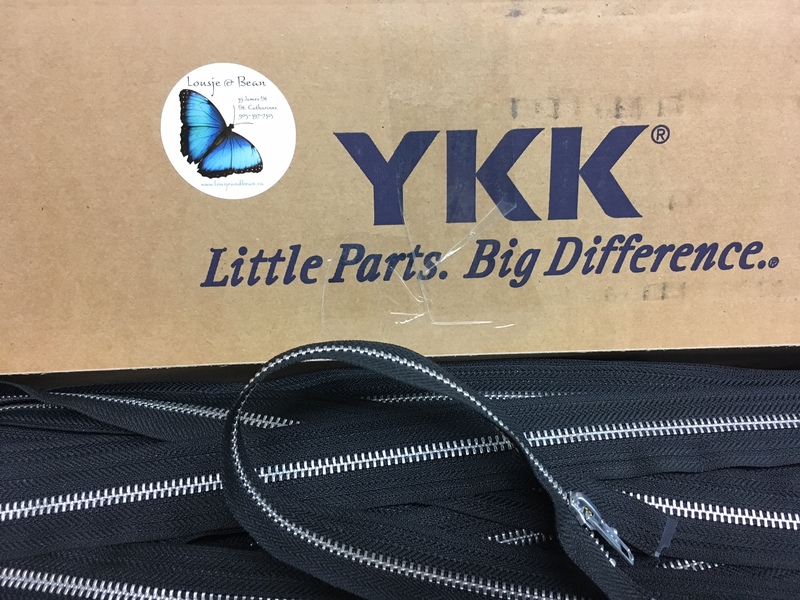 Did you know that one company, YKK, makes more than half the world’s zippers? Fortunately, YKK does their manufacturing regionally, so we get all our zippers made to order out of Montreal. There’s really no skipping quality on something as important as a good zipper, and we’re proud to partner with a Canadian manufacturer to source this small but critical element of our clothes. When it comes to attaching those zippers to our garments, we trust Cansew to provide us with all our sewing thread. They’ve been a 100% Canadian business for over 80 years! Plus, they have more than 500 different thread colors to choose from. And of course, we can’t neglect the finishing touches. Our labels are made to order from the Toronto-based manufacturer Laven Labels. These guys are the pros at label delivery, and we’ve been so pleased they can make our beautiful and fun labels. We love that the finishing touch and the element that bears our name is as Canadian as the rest of the garment. When you buy a garment from Lousje & Bean, you’re wearing a product that has been sourced almost entirely through Canadian representatives, manufacturers, and artisans. We wouldn’t have it any other way! What can we say? All the best things come from home!